In 2002, my parents bought property from Cayo’s Ranch House (formerly a restaurant in downtown Interlochen). Although the buildings had already been converted to long-term rental, my folks wanted operate a business that was in line with their values. They named the 11-unit complex Chesalon (pronounced keh-sah-lon) Cottages, which means strength or confidence, and alludes to a Biblical city of refuge on the border of Judah. For over ten years, Chesalon Cottages have been home and, occasionally, a place of refuge for many of its residents. Starting in 2012, however, I’ve taken over management of the cottages, and a new name signals a change in goals. 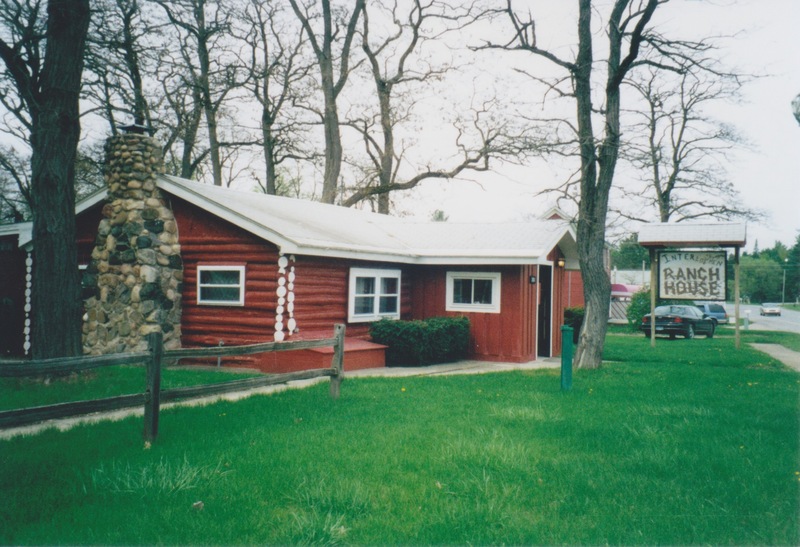 Still a place of shelter and safety, Creekside Cottages derives its name from the adjacent waterway—an unnamed tributary creek that runs from Mud and Duck Lakes into Green Lake and eventually the Betsie River, which flows to Lake Michigan. I wanted the name to reach beyond what it has meant for other people, and to convey a sense of place and connection with the surrounding area. Although the name “Creekside” is pretty uncontroversial (and ubiquitous among health clinics, turns out 🙂 ), I still think it captures an important part of Northern Michigan’s geography, and particularly, of the Village of Interlochen. According to oral histories of the area, the “creek” of our Creekside Cottages is sometimes known as Little Betsie. Since almost all of the streams leading into the Betsie River are also called this (which shares its name with “Betsie,” the largest steam tug used for shipping down the river), it didn’t seem accurate to name the cottages after Little Betsie. On the other hand, the location of Creekside Cottages was significant to early transportation for Interlochen. According to Art Stickles, an Interlochen resident and historian, logs from the area were transported to saw mills by railroad, to be use as timber in rebuilding Chicago after the fires of 1871. Our little section of creek served as a “fueling” station for the steam-powered engines. Even before logging and European settlement, the land around Creekside Cottages was part of an Odawa Tribal village, situated between lakes Wahbekaness and Wahbekanetta. In re-naming this site Creekside Cottages, I am hopeful that it respects each of these historical threads, while simultaneously drawing on they many associations (movement, changes) that a creek evokes. Overthink much? Absolutely. But, as with Chesalon, names are important to identity, and at the most fundamental level, they define who we are. So, that’s Creekside Cottages. We are cottages by the side of a creek. Good smelt dipping, I’m told. and she inferred that the cottages would be for rent by the month all year long. Some cottages and apartments are available year-round. Please e-mail us at info@CreeksideMI.com for availability and rates.